Monarch Air Group provides private air charter in Baton Rouge, LA. Our clients benefit from top-notch service, unrelenting dedication to safety, wide selection of aircraft, and years of experience in chartering private jets. To obtain a free quote, please use our online quoting tool provided below, or call toll free 1-877-281-3051. Monarch Air Group offers private jet charter services to and from Baton Rouge, Louisiana, USA. Situated on the Mississippi River, Baton Rouge is the capital of the State of Louisiana. Representing the best of Louisiana’s vibrant culture, Baton Rouge boasts a number of stunning landmarks including the Louisiana State Museum, Louisiana Art and Science Museum, Louisiana State Capitol, and the Old Governor’s Mansion situated in the center of Baton Rouge. 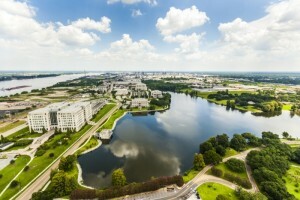 The city of Baton Rouge has many industries and businesses, as well as indigenous Creole people, unique Creole food, traditional Southern shopping, and lively music. 3. HUM, Terrebonne, Houma, United States. 4. LFT, Lafayette Regional, New Iberia, United States. 5. MCB, Pike County, Mccomb, United States. 6. OPL, St Landry Parish, Opelousas, United States. 7. PTN, Williams Memorial, Patterson, United States. 1. Holiday Inn, 4848 Constitution Avenue, Baton Rouge. 2. Chase Suites Hotel By Woodfin, 5522 Corporate Boulevard, Baton Rouge. 3. Embassy Suites Baton Rouge, 4914 Constitution Avenue, Baton Rouge. 4. Radisson Hotel Baton Rouge, 2445 South Acadian Thruway, Baton Rouge. 5. Holiday Inn, 4848 Constitution Avenue, Baton Rouge. 6. Extended Stay America Hotel Baton Rouge – Citiplace, 6250 Corporate Boulevard, Baton Rouge. 7. Chase Suites Hotel By Woodfin, 5522 Corporate Boulevard, Baton Rouge. 8. Embassy Suites Baton Rouge, 4914 Constitution Avenue, Baton Rouge. 9. Radisson Hotel Baton Rouge, 2445 South Acadian Thruway, Baton Rouge. 10. Belle of Baton Rouge Casino & Hotel, 102 France Street, Baton Rouge.